Clare and I are on our way to our “Healing Road From Languedoc to Lourdes” tour to Cathar country, God’s country, and the promised land of the Children of Light. It will be our sixth France tour together and my 15th visit to this wonderfully mysterious part of the world. My aim hasn’t changed since my first visit in 1998. 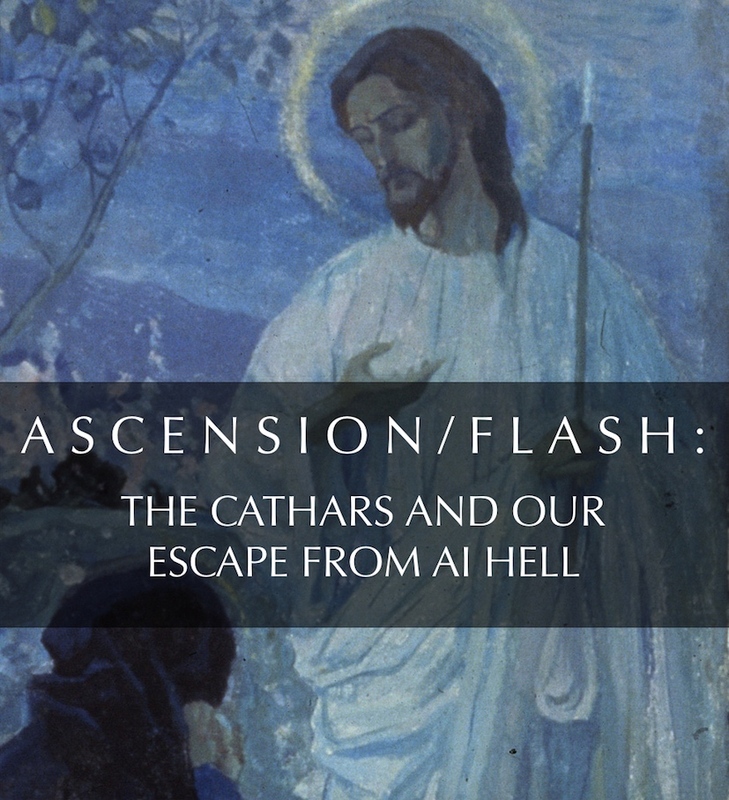 I am seeking the secret ascension teachings of Jesus and Christ Consciousness the Cathars claimed to possess and that was woven into their land. This trip is different in that, more than ever before, I will have Artificial Intelligence and the transhumanization of our bodies on my mind and will be contemplating the possibility that the Cathars prophesied our fake world and have an antidote for it. I first discussed this in my blog, Aligned With Love. In this blog I will be taking you with us on our journey to the Cathars. The philosophy of the “pure”, or “Good People”, as the Cathars were called, was derived from the first Christians. These were the actual family and followers of Jesus. They claimed to have received a transmission of a Christ ‘vibration’ that was passed from Jesus to his followers shoulder to shoulder to shoulder on down to the Cathars. They combined this ‘infusion’ of light with insights gained from the resurrected Jesus and what is known as Christian gnosis or illumination. This teaching is a mixture of Jewish (Essene) mysticism and the esoteric wisdom of the Middle East and was collated first by Mary Magdalene, and then by Mani, the 2nd century Persian prophet, and passed on to the Cathars. Jesus instructed Mary Magdalene in the secrets of ascension. At its core, this teaching is about ascension or our return to perfection, holiness and wholeness. It is based on the premise that humans were originally whole, holy and complete angelic light beings and that we have fallen into a dark and diabolical world created by an alien entity called Satan. The Cathars believed this dark angel made or manufactured the human body out of clay and infused it with blessed souls from heaven imprisoning them for eternity. Creation of the human body from clay is a miraculous birth theme that recurs throughout ancient religions and mythologies. All of them infer an extraterrestrial intervention in human affairs. Clay is made up of tiny crystals which when fed with water are capable of growing, splitting off and giving rise to identical (or near-identical crystals). The latest theory is that clay – which is at its most basic, a combination of minerals in the ground – acts as a breeding laboratory for tiny molecules and chemicals which it ‘absorbs like a sponge’. Over billions of years, chemicals confined in those spaces could have carried out the complex reactions that formed proteins, DNA and eventually all the machinery that makes a living cell work. You may have heard it said that we are shifting from carbon-based bodies to crystalline-based bodies. These stories are literally saying humans originally had crystalline bodies. Then, we lost them. This story mirrors the Greek myth of Pandora, the first human being who was artificially created by Hephaestos, the god of technology. Pandora was crafted from the clay of the earth. 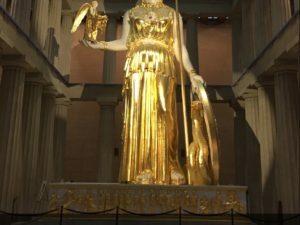 She had no soul until Athena came along and blew one into her. The Cathars believed that good souls would incarnate in a body that would be more capable of returning them/us to our original state of being as angels. This means they would be more capable of shifting — or perfecting — the body into a higher, and lighter, form. The bad souls imprisoned in the ‘lesser, denser’ human body would reincarnate in a body much darker than the one before. This body comes pre-loaded or programmed with the sins of the past (rather than being burdened with just the sins created in its present life). For the Cathars this new ‘dark’ body and the prison planet it dwelled in was Hell. This darker body is our current model. No matter what color skin you wrap it in the current model of the human body is the one the Cathars warned us about. Clearly, this body is weighted down with environmental and spiritual pressures no other humans had to contend with. To compound this assault, it is now the target of genetic and technological augmentation that will transform it from an organic state of being to an inorganic technological one that is nothing more than a puppet, like Pinocchio, wired to the Internet of Things. For (modern day) Cathars, Transhumanism is the continuation of a metamorphosis of the human body begun long ago and which would come to fruition in a later age (ours?) and is the greatest possible disaster ever to confront humanity. For Transhumanists it is the fulfillment of their version of the quest to perfect the human body. It all began in the book of Genesis where we learn humanity was imprisoned in human flesh by the Old Testament God, Yahweh, who punished Adam and Eve for eating the forbidden fruit of the tree of knowledge. Before their ‘fall’ Adam and Eve had perfect bodies of light that resembled the angel’s light bodies. After, their eviction from Eden they/we were cast into bodies of flesh. Adam and Eve’s’perfect’ bodies of light are described as robes or garments of light. Louis Ginzberg, in his Legends of the Jews, says that Adam’s garment is identical to the celestial robes of the righteous in the Jewish and Christian mystery tradition. It is described as a “shining garment” or “garment of light”. Ginzberg says it was of extraordinary brilliance and splendor and possessed of supernatural qualities. In the Dead Sea Scrolls Community Rule, the faithful were to receive “life everlasting, and a crown of glory and a robe of honor, amid light perpetual). In 1 Enoch the righteous “shall have been clothed with garments of glory, and these shall be the garments of life from the Lord of Spirits: and your garments shall not grow old (1 Enoch 62:16). In order to escape this prison world, and its children of darkness, we must ‘change our clothes’ and trade or upgrade our ‘fallen’ earthly/biological flesh for our original celestial flesh or the light bodies of the angels. According to Cathar belief, Yahweh/Satan is actually Hell’s angel and his mission is to control humanity by keeping us eternally locked in flesh. 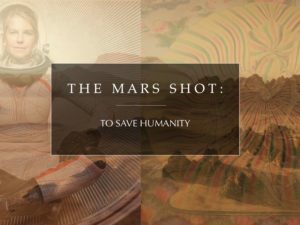 The goal is immortality on earth. Jesus was sent as a cosmic emissary to show us the way to transcend human flesh and return to our original, true nature by remaking our bodies of light. The goal is ascension to a celestial realm (more in a later post). The sons of God are the fallen angels who mated with human woman, producing giant offspring, known as Nephilim or Mighty Men of Renown. These were hybrid entities, that were part human and part angelic, and (some) were under Satan’s control. This being was intended to have a shelf life of 120 years. They are called ‘Mighty Men’ because they possessed a transmittable garment that gave them super powers, including invisibility, superhuman strength and the ability to walk between worlds. This garment has a spiritual component. As I discussed in The Watchers: Lost Secrets of Ascension, Resurrection and Perfection, a breakaway group of these angels taught humans the art of spiritual ascension. In Genesis 6 we have more than just another example of the practice of genetic manipulation and modification described in ancient mythology. What it describes is the goal at the heart of the present day scientific and technological Transhumanist agenda : to create a new suit of skin for humanity composed of super advanced technology and to take total control of the thoughts and actions of this entity. Does this mean today’s Transhumanists are yesterday’s fallen angels and Transhuman technology is the ‘evil’ product of Satanists? The Cathars would say YES. Is history repeating itself in the form of the Transhuman quest to merge us with machines and give us souped up skin? Again, the Cathars would say YES. This is part of the prophecy of the Second Coming. What this means is that when Jesus returns so will his angels…and Satan’s angels (referred to as the army of the AntiChrist). The biblical flood was sent as a premeditated attack to destroy the Nephilim giants and to punish the angels who committed the illicit hybridization and make an example of them so that no other angels would ever attempt this again. Mass human transformation into a hybrid man-chine is the goal of global elite who are advocating our merger with ‘godless’ Artificial Intelligence as a way to ‘save’ the human race. But that is not what the Essenes, Christian gnostics and Cathars advocated. They advocated activating our ‘Ascension Intelligence’ and joining the angels who sought to aid humanity in its ascension. In the Book of Genesis Noah escaped the Nephilim hybridization that had infected humanity. He was chosen/saved to carry on and re-start humanity after the flood because he was a righteous one and a believer in God. More, he was “perfect in his generations” (Genesis 6:9). The Hebrew word for “perfect” in that verse is tamiym, which means “complete, whole” and is a reference to Noah’s health and physical condition. On one level this means that his genetic bloodline and ancestry was 100% pure human. In my view, and more importantly, the word also describes his metaphysical condition. He was different from the hybrid humans. 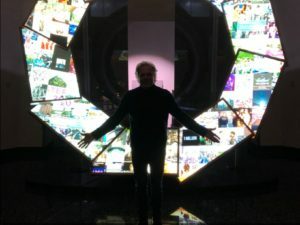 As I have written and presented extensively since 2006, I look at it through the lens of Tibetan Buddhism where the term “perfect body” refers to our ascended Rainbow Light Body. Unlike Gilgamesh, the Sumerian hybrid ‘super man’, who was 2/3 divine and 1/3 human, Noah was 100% human, perfect, whole, holy, complete. Wholeness is symbolized by a circle and a circle is 360 degrees. In this way Gilgamesh was 240 out of 360. Noah was 360. This means he was divine…and a perfect human. I know it may sound strange to think of Noah as a being of light, but if we interpret the word tamiym in its fullest meaning that is exactly what it says. As a perfect human, Noah would have aligned with a race later referred to by Jesus in the Secret Book of John as Perfect Humans. Jesus is clearly telling John there is a distinct race of humans — Perfect Light Humans. Noah is a member of this race and probably not by birth, but rather by a light body practice which he mastered. The Cathar perfecti practiced, and mastered, affecting this transformation. Further, we are told the perfect ones accompanied Noah the Righteous on the ark. They covered themselves with a cloud of light. Recalling that after his ‘Righteous’ sacrifice God displayed for Noah ‘the Rainbow Sign’ we discover another reason why I equate Noah’s perfect body — covered in a cloud of light — with the perfect light body of Tibetan Buddhism. The way out of this Hell, in Cathar belief, was to follow the Angel, or emanation of light, God sent to lead the pure back to heaven. This was Jesus. Pure and spiritual. Mystical and mysterious. He came in a flash to spiritually alter the human body to make it into a form that could, flash, shift from the earthly state of being/temple to the perfect ascended one…the Rainbow Light Body. By converting his flesh into a perfect light body (through the power of faith/consciousness) in his resurrection and ascensionJesus defeated Satan (Hebrews 2:14). The bigger victory comes at the Second Coming when, in an Ascension/Flash, as I described it in my 2011 book, The Secret of Sion, mass numbers of believers follow Jesus in his transfiguration and trade their earthly flesh and its clothes for a heavenly light body of celestial flesh and a robe of light. The answer then is the same as it ever was. 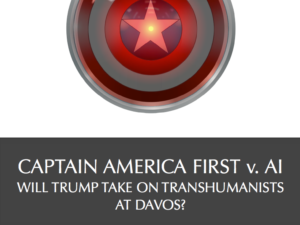 CAPTAIN AMERICA FIRST v. AI : WILL TRUMP TAKE ON TRANSHUMANISTS AT DAVOS? Another inspiring article… How wonderful the art of practice (action)! Have a fun cathar-tic trip! The image shows the way! thank you from the depth of my heart for this info.i am interested in the oils to aid assention please.